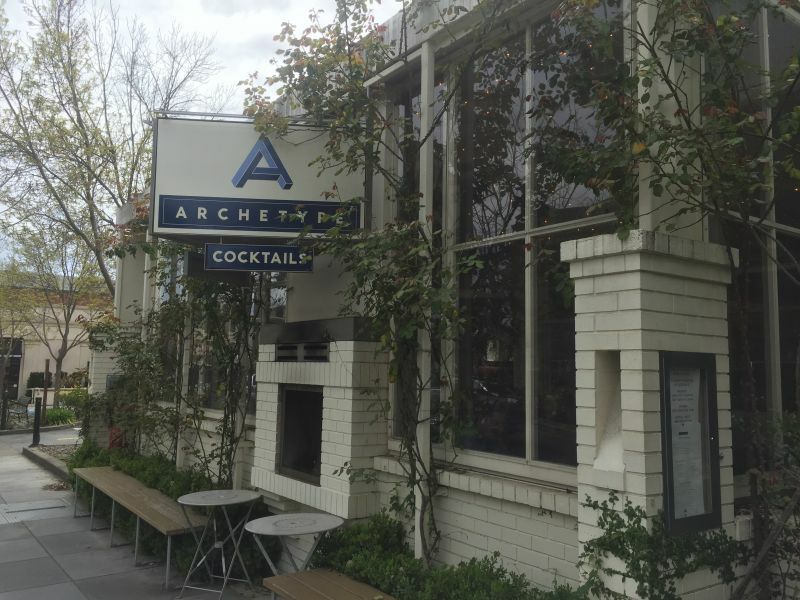 On a recent tasting visit to Napa Valley, I stopped for lunch at Archetype in St. Helena. This fairly new eatery is located at the Northern end of the main road through St. Helena. It lacks any immediate parking, but the side streets provide plenty of options. We were thirty minutes early for our appointment, but we were seated immediately in the glass-covered terrace at the front of the restaurant. The main room is, as you can see from my pictures, warmly lit, but the natural light in the conservatory was an added bonus. 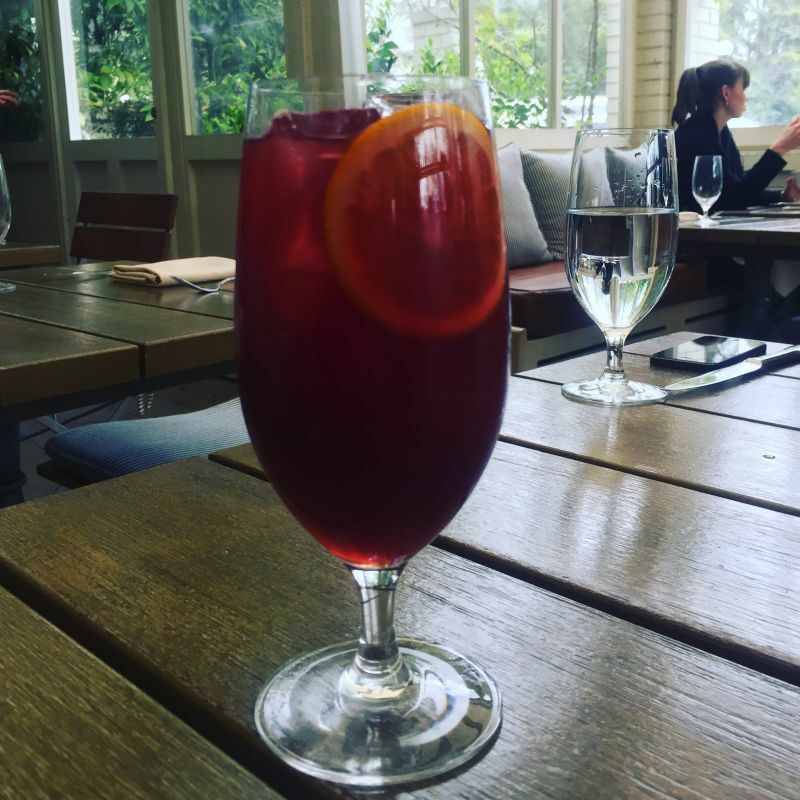 Since I was wine tasting, I ordered one of their house made sodas; a pomegranate drink that was an ideal palate cleanser. A future visit to investigate one or more of the interesting cocktails they offer would seem to be needed; purely for blog research purposes, you understand. My friend, with whom I was wine tasting, had a glass of the Gibbs 2012 Oakville Merlot, which he thoroughly enjoyed. 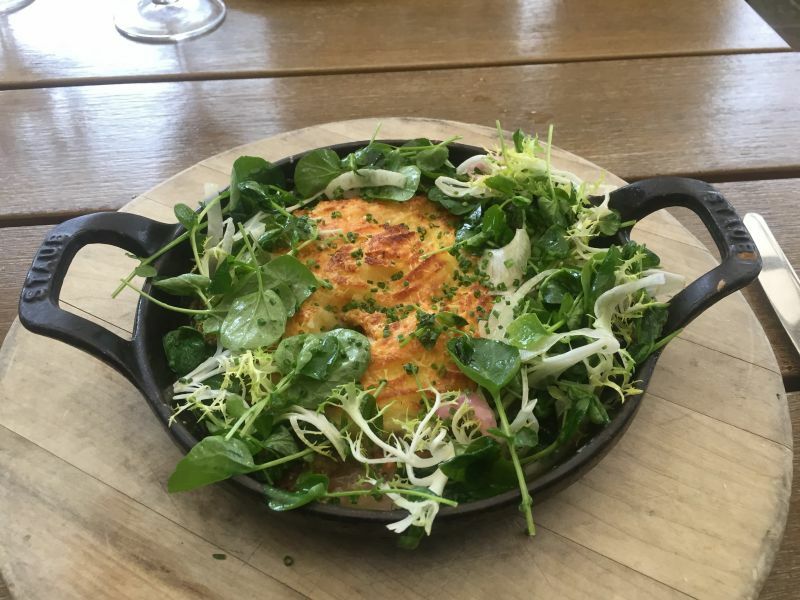 Our server provided a list of several specials, one of which in particular caught my attention: shepherd’s pie. Regular readers of this blog may recall that one of my pet peeves is when this name is applied to a pie with beef; shepherd’s pie requires the use of lamb. In this case, the name was accurate, the dish was made with lamb. The waitress listed cilantro and carrots as the other main ingredients and stated it was served with a salad. Carrots are a core part of this dish, the other two extra components not so much; however, as someone who loves the tang added by, what British readers will know as coriander, this seemed an interesting addition. The dish used braised lamb and had the potato just about perfect; the cheese crisp on the top. I would have preferred it with slightly more meat. The unannounced presence of peas in the dish was an unwelcome surprise. 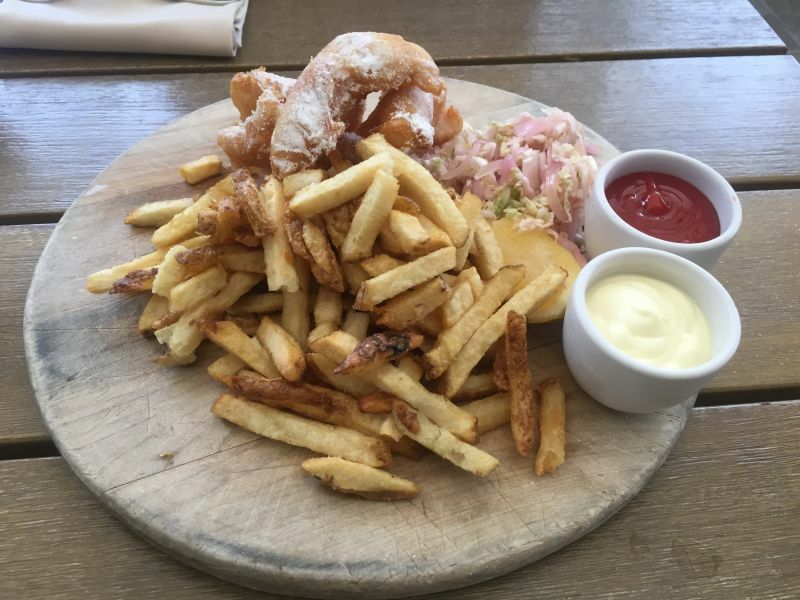 My friend had the fish and chips. The chips were well seasoned and cooked crispy. The fish was coated in what looked like icing sugar, but was powdered salt. This was both cosmetically appealing and added a lift to the delightfully crisp batter. 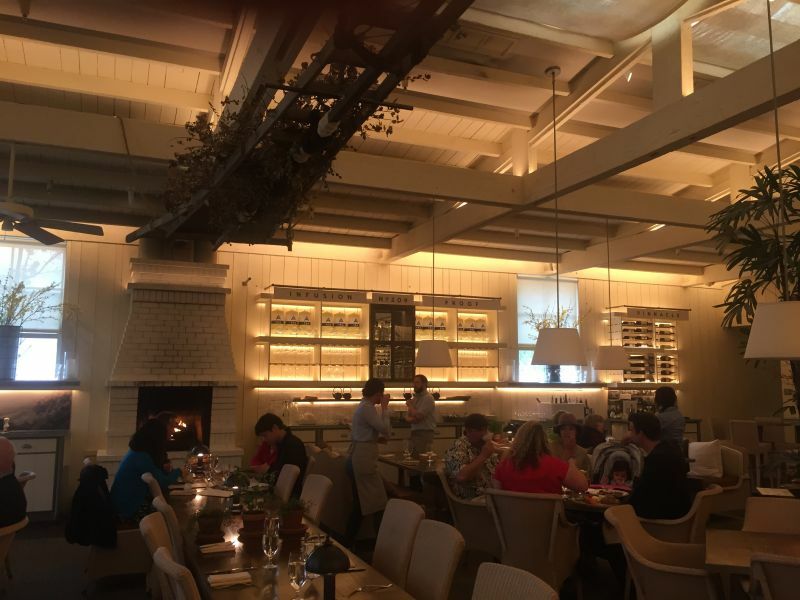 Overall, the ambience, service, and food at Archetype were good. This is a restaurant worth trying and I want to order those fish and chips myself.